For habitual indoor tanners, settling down for a session of intense UV light activates the same pleasure areas of the brain that amp up after the use of alcohol or drugs or the consumption of high fat or sugar foods. Researchers have long suspected that people who indoor tan on a regular basis could be at risk of some sort of addiction - after all, continuing to engage in an activity that you know does you harm is one of the hallmark signs of addiction – and some new research out of UT Southwestern Medical Center seems to back up the tanning addiction hypothesis. When study subjects unknowingly had indoor tanning sessions with no UV light (only light from other spectrums) there was much less activation in these same parts of the brain. 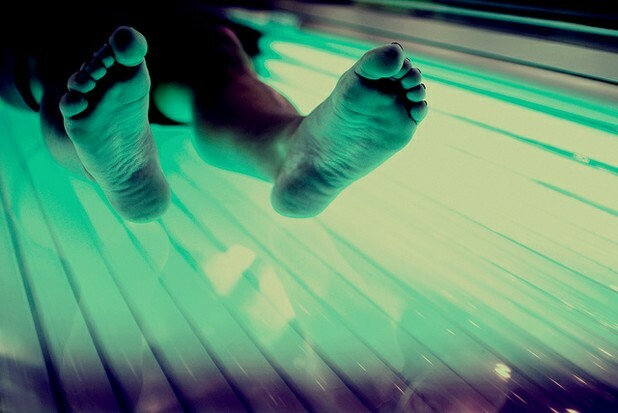 Lead study author Dr. Bryon Adinoff says that the results indicate that it’s the UV light in tanning that people find so reinforcing and that the study adds weight to the hypothesis that indoor tanning may be, for some, an addictive behavior. Frequent indoor tanning has been found to increase the risk of melanoma by about 75%. About 30 million Americans use indoor tanning in any given year, with about a million Americans heading to the tanning salon on any given day. Dr. Adinoff says that the way tanning can make people feel helps to explain why many people persist in the activity despite knowing its substantial dangers, saying, “Using tanning beds has rewarding effects in the brain so people may feel compelled to persist in the behavior even though it's bad for them." The full results of the study can be examined in the upcoming edition of Addiction Biology.